The question of how to market and sell to companies based in China is one that is debated endlessly by foreign companies seeking to profit from the huge potential of the country. Views expressed by businesspeople claiming to know the secret of success in China vary wildly, from those (generally newcomers) who say that marketing and selling in China is ‘just like home’ through to those (usually those with at least a couple of years’ experience in China) who exaggerate the unique nature of Chinese business and Chinese people to such an extent that selling in China sounds like an impossibility. The reality is that these two positions are both equally crass and incorrect – there is no reason why a Western company with a flexible, patient and ‘listening’ approach to marketing and sales should not succeed in the Chinese market. As Chinese companies have developed over the past decade, they have rapidly become more sophisticated in their business systems and practices, creating both opportunities and challenges for Western businesses. Although ongoing East-West cultural differences continue to pose challenges to foreign enterprises carrying out marketing in China, companies that make an effort to understand such variations and integrate them into their marketing strategies stand a greater chance of succeeding in the China market. This paper is based on past surveys of Chinese business opinion in the two key cities of Beijing and Shanghai, comprising 100 in-depth interviews with business owners and senior purchasers. Companies of all sizes were interviewed, from those turning over US$1.5m through to multinational organisations. Companies were divided into quotas to ensure a cross-section of different types of manufacturing and service companies. The principal aim of this paper is to dispel some of the myths propagated about Chinese business, and explore the reasons behind both successful and unsuccessful marketing and sales approaches in China. When discussing Chinese attitudes towards marketing and sales, it is important to make the distinction between the different types of companies operating in China. Marketing staff employed by western multinationals typically have more heightened awareness of marketing concepts than local Chinese companies, often employing expatriates or returnee overseas students with MBAs in senior marketing positions. With such large variations in marketing practices among different types of companies in China, foreign companies are best advised to take a flexible approach to sales and marketing. In general, the principle of ‘marketing’ in business-to-business markets is less widely recognised in China than in more mature markets. Commonly, marketing is viewed as a task for the sales department, its role sometimes viewed as little more than taking care of the company logo and brochures. 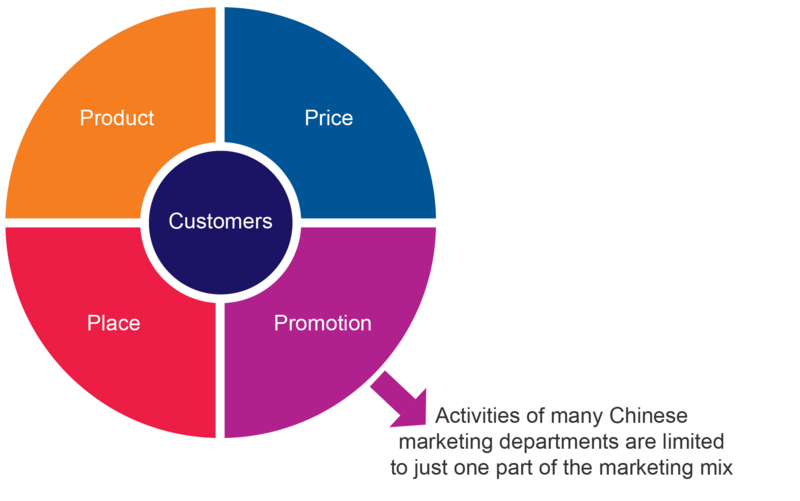 In short, marketing is defined by many in Chinese businesses as consisting of only the ‘promotion’ element of the 4 Ps. ‘Product’ is the job of engineers, ‘price’ the job of salesforces and ‘place’ the job of senior management. At worst, marketing departments are derided as ‘spending departments’, their apparently superficial output seen as a poor substitute for the relationships that are so important in a Chinese business environment. In contrast to some Western markets, the salesperson and more broadly the principle of selling are more widely respected in China. Two issues perhaps lie at the core of this fact: firstly, the entrepreneurial spirit of the Chinese people, and secondly the great importance placed on relationships in business decision-making. A good salesman must be adept at forging not only relationships, but also friendships with potential customers. The importance of relationship-building tends to imply a long sales process, requiring of salespeople patience, continual learning and an on-the-ground presence. How Do Chinese Companies Want To Be Targeted? In many Western markets, conferences and exhibitions are often derided as a waste of time and money. In Asia, and particularly China, nothing could be further from the truth. In most industries and market sectors, attendance at exhibitions, conferences and similar events can be essential for any company looking to achieve substantial or sustained success in China. Such events are an excellent way of making initial contact with customers, and can also be a good means of moving a potential sales relationship forward relatively quickly. They are a way of gaining trust, and are an opportunity for the target market to compare local and international offerings, establishing the supplier as ‘open’. The events are an opportunity for potential customers to ask questions, and have the advantage of establishing the face-to-face contact which Chinese buyers value so much. More importantly, they help to persuade buyers that companies are committed to the local market, by virtue of the fact that they have physically devoted the time and expense to be there. All big cities have conference and exhibition centres (Beijing has seven, for example) and details of their events can be found simply by contacting the centres directly or looking at their websites. The ‘Events Eye’ is an English language website that gives details of Chinese exhibitions across different industries and cities, and can be found on www.eventseye.com/fairs/event_l41.html (see Figure 3 below). Although some of the larger exhibitions cover multiple industry sectors and are bigger in scale, most exhibitions are limited to a specific industry area. The size and scope of these exhibitions varies greatly, and it is advisable to do some background research before deciding which exhibition to attend. Looking over exhibitor lists from past exhibitions is a useful way of gauging the profile of an exhibition. Similarly, the location of an exhibition is often significant. While the larger, more influential expos tend to be located in Tier 1 cities such as Beijing, Shanghai and Guangzhou, exhibitions located in Tier 2 and 3 cities are more likely to have a higher proportion of smaller local companies than multinationals. Similarly, exhibitions located near to industry clusters are likely to have more key industry players in attendance. It is also worthwhile remembering that exhibitions are an indirect form of marketing and seldom result in immediate sales leads in the short term. The benefits of attending such exhibitions can seem frustratingly intangible to Western companies, since there is no way to assess their true impact on sales. It may be the case that Chinese businesspeople are culturally disposed to over-emphasise the importance of trade shows and exhibitions, although it is also the case that companies that fail to attend key exhibitions can create a negative impression with customers just by virtue of being absent. Email is now the primary means of communication for any Chinese company that regularly deals with foreign customers or suppliers. 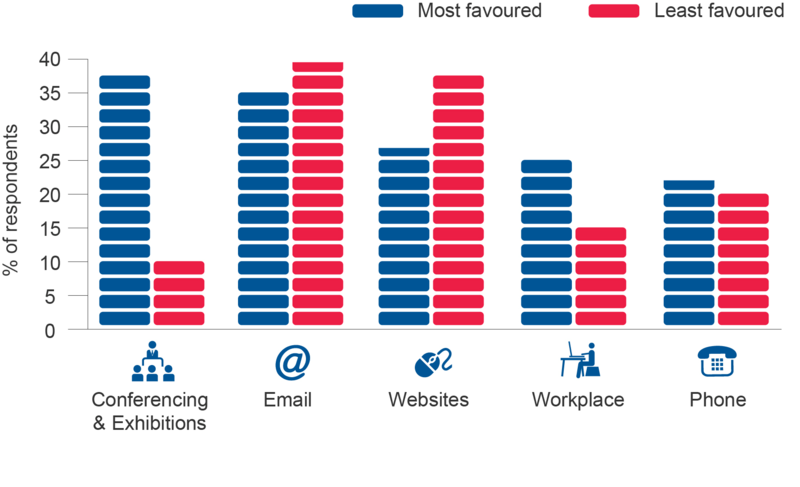 Email is extremely important at all stages of the sales process, but particularly at the introduction stage – Chinese buyers tend to react positively to a well-structured, personalised email as a prelude to a more detailed face-to-face discussion. Such an email would usually be accompanied by a soft copy brochure that gives general information on the supplier’s offering. Although the level of English spoken in China is continually improving, sending a Chinese version of company literature is usually recommended in order to grab a buyer’s attention and avoid any potential misunderstandings. As discussed below, however, it is usually essential to make a call to the target company before sending company details through – ‘cold’, non-personalised messages are extremely unlikely to be taken seriously. The number of internet users in China now exceeds 400 million, which makes China the world’s largest online community. As such, most Chinese companies have a website and are increasingly using online and digital marketing as the principal means through which they communicate with their customers. A clear and attractive company website that conveys a company’s product or service offering is therefore vital to generating interest from Chinese businesses. As with direct email and fax communication, having a Chinese version of company websites is also essential, both enabling the company to communicate with a greater target audience and clearly demonstrating the company’s commitment to the China market. Having a well structured, navigable and informative website can also help differentiate Western companies from local competition, since many Chinese buyers are extremely critical of the standard of Chinese companies’ websites, seeing them as badly designed, lacking in information and generally unprofessional. An informative homepage is therefore an unmet need that Western companies are well placed to meet. 92% of Chinese netizens use some form of social media, whilst many consumers regularly post messages on online forums or blogs. As in Western markets, the huge popularity of such social media in China offers good low-cost and effective promotion and marketing channels for both b2c and b2b vendors. A mistrust of traditional media channels and advertising, along with the heightened significance of networking within Chinese society makes China especially suited to marketing through these types of social media. For example, many Chinese buyers and technical staff often use online communities to evaluate products and services they are planning to buy. With sites such as Twitter and Facebook currently being blocked by the Chinese government, the social networking sites popular in China tend to be quite different from those commonly used in the West. LinkedIn has a large take-up among English-speaking Chinese businesspeople, and other local Chinese language sites such as Tianji and Wealink are also becoming increasingly popular business networking sites. Taking advantage of such online media presents many challenges to foreign companies. Foreign enterprises may need to dedicate resources to translate press releases and discussion topics into Chinese, and be active in keeping blogs and profiles fully up to date. Face-to-face meetings in the workplace are an essential step towards making a sale in most business markets. Only when a face-to-face appointment is secured can it be assumed that the enquiry is a serious one. As in the West, Chinese buyers are busy people and prefer for suppliers to visit them at their offices, unless negotiations are at an advanced stage and the client wants to visit the supplier’s production facilities to look at the scale of the operation. Being able to speak at least basic Chinese is a good way to impress and show respect to a potential customer, and it can help to build rapport with the customer at an early stage. Although being able to speak Chinese fluently is often helpful, many senior Chinese executives at multinationals and larger private companies can speak English, whilst interpreters can also be used to avoid any misunderstandings caused by language differences. Making phone calls to Chinese companies is an effective way of making an initial introduction, and above all in identifying key decision makers within an organisation. It is recommended to call target companies to make a self-introduction before sending any e-mail correspondence, to ensure that company documentation is sent to the right person, and that someone in the target company is expecting the information. The high turnover rate of Chinese employees, even in senior positions, means that buyers change frequently, and a quick phone call is often useful to confirm the name and contact details of the key contact person. Although the telephone is a valued means of communication during the sales process, its limitations should be recognised. In summary, it should be used for introductory and relatively low-level discussions, such as arranging meetings or clarifying points from a meeting. It is extremely unlikely that negotiations will be conducted or sales made over the phone, unless the contract is particularly small or there is already an established relationship with the customer. To put it succinctly, cold-calling campaigns are very effective at establishing contacts and beginning a relationship, but utterly ineffective when it comes to negotiating or closing sales. Whilst the postal service in China is efficient, the growth in email and internet use is such that it is increasingly acceptable, maybe even expected, for company literature and other details to be sent electronically. Hard copy brochures and presentations are used widely, but these tend to be presented during one-to-one meetings. Where literature is being sent on a wider scale (the main example being a direct marketing campaign) then the postal service is perfectly acceptable. Indeed for non-personalised or mass communications, hard copy is usually more effective (assuming that good contact details have been obtained), as ‘junk’ emails are routinely deleted. Many businesses state that receiving good-quality company literature through the post is such a rare occurrence, that companies who succeed at doing it well do make an impact. Western-style campaigns in particular tend to have impact, especially if the materials are bilingual. As with websites and other media, a successful campaign can depend on appearing both ‘Western’ (usually synonymous with good quality) and ‘Chinese’ (knowledgeable about China, and willing to adapt to Chinese requirements). Chinese guanxi is critical to how Chinese companies do business, although the whole concept can be alien to many foreigners. Guanxirefers to one’s network of personal relationships, which can be drawn on in a business context. Similarly, the concept of guanxi means that business relationships can often transform into personal friendships, and indeed many Chinese businesspeople consciously spend a great deal of time and energy nurturing such relationships. This can take the form of banqueting, evening entertainment or gift-giving – activities that can seem onerous and unnecessary to many Westerners. Although such networking and relationship-building is clearly important to the sales process in China, there is a tendency among some commentators to overemphasise its importance when trying to penetrate the Chinese market. As in any market, building strong relationships is extremely important to achieving market success, although guanxi is no substitute for a strong product offering or a trustworthy supplier. What Western companies sometimes have difficulty coming to terms with is the way in which this trust is gained, and the time it often takes to convince the customer that yours is the product or service that meets their needs. The overriding piece of advice for Western companies would be to understand the importance of establishing relationships when targeting Chinese companies, and to be prepared for the patience required for this. In conclusion, therefore, a wide-ranging marketing and sales approach is required in China, with different activities complementing each other, and working at different times in different ways. The table below summarises the main means of communication with Chinese companies, and the benefits and drawbacks of each. Exhibitions and conferences Regularly but strategically, to establish the first contact with new customers and to maintain brand awareness in the market. Email After initial contact has been established, use an email to introduce the company, and specific products and services that may be of interest, in more detail. An easily found, easily navigated and easily understood website is essential at all points during the ‘sales process’ and beyond. A good site will be referred to again and again before, during and after the sale. Online media Business networking sites such as LinkedIn and Tianji can be used for networking purposes, whilst blogging sites can be used effectively for product promotion and as a forum to gauge market feedback. Face-to-face meetings This is essential, but only under the right circumstances. Workplace meetings should be used to move the relationship forward, once the potential customer has shown some interest. Deals will almost always be closed in face-to-face meetings. Phone calls As a first contact, in order to locate the correct person. However, avoid trying to ‘sell’ or negotiate over the phone – this should usually be done face-to-face. Obviously phone calls can be used for informal discussions and to keep in contact between meetings. Post Direct mail can be an effective way of generating initial interest. Contrary to popular belief, the Chinese are, if anything, more receptive to direct mail than most Westerners..
Networking An important complement to marketing effort at all times. Relevant events should be attended, and business relationships developed to the maximum. What Messages Must Western Businesses Communicate? Successful marketing communicates to a target audience that its needs can be met by a particular supplier’s offering. Any marketing campaign should have at its core the communication of the target market’s needs. With this in mind, it is essential to consider what Chinese businesses require from potential Western suppliers. We have excluded ‘price’ from our analysis, taking this as ‘a given’. Unsurprisingly, the main requirement Chinese buyers have from potential Western suppliers is to provide market-leading quality. Indeed, this is a ‘hygiene’ requirement, in that the minimum a Western company must do is justify its higher prices vis-à-vis the local competition. In other words, the company’s offering must add value in the eyes of the buyer. 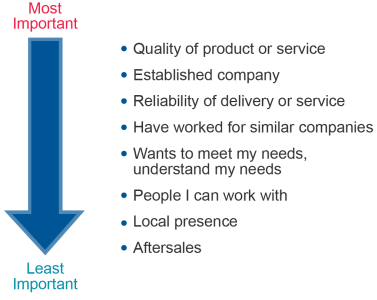 Two of the top four requirements of Chinese buyers and business owners – the need for Western companies to prove that they are ‘established’ in the market, and the need for them to demonstrate experience of dealing with similar companies (preferably in China), illustrate the difficulty many Western companies have in gaining the trust of their target audience. As previously noted, ‘business’ trust in China is often developed through relationships. However, important as these are, the first thing any Western company should do is prepare and present comprehensive case studies and client lists for the potential Chinese customer. These should be leveraged to the absolute maximum, and from the earliest possible stage in the relationship. This is in contrast to many Western markets, where past experience is often mentioned in the vaguest terms and references are rarely followed up. This need to communicate relevant past experience cannot be overstated and relates to perhaps the biggest barrier facing any Western company (particularly new entrants) in China – the time and effort required to gain the target market’s trust. The challenge of gaining trust can be turned into an advantage if the Western company leverages its brand to the maximum. When approaching a potential customer for the first time, a company’s brand can communicate experience and credentials in the same way as a case study or reference. Even if the company is unknown in China, the brand of ‘The West’ can be a real plus, and at the very least generate curiosity in the company’s offering. Most Chinese people continue to associate Western brands with quality, and this confers immediate advantages in terms of brand perceptions, regardless of how accurate this is. Reliability typically refers to quality of service as opposed to quality of product. Chinese buyers are extremely demanding in terms of their service requirements on issues as diverse as lead time, availability after hours and technical service. When dealing with Western companies, Chinese businesses feel they are paying for top quality, and when technical issues arise they therefore expect them to be dealt with quickly and efficiently. A key challenge in respect of such needs is communicating that the Western supplier has an established and permanent presence and infrastructure within China. There is a great deal of wariness regarding Western companies who are happy to export their products to China and charge significantly more than local competition, but are not willing to offer on-the-ground after-sales support. This need acts as further justification for foreign companies investing in some form of ‘local presence’ in China, especially where companies have product or service offerings that require more in-depth technical support. Another option to address this problem is to utilise distribution partners and other intermediaries to provide technical support, although finding a trustworthy local partner also comes with its attendant challenges. Chinese buyers state emphatically that they want Western companies to show an understanding of their needs, but also a willingness to listen to and learn from the buyer. A frequent comment is that Westerners ‘turn off’ buyers by spending far too much time talking about what they can offer, and far too little time building up their understanding of what the customer requires, and what is driving that requirement. Chinese buyers do not expect suppliers to understand their needs immediately, and prefer suppliers to listen carefully to the issues facing the business, and commence a dialogue which begins to identify their needs and put forward ways of meeting these needs. Suppliers who claim to have the solution as soon as they begin talking to the potential customer are seen as crass, naïve and untrustworthy. On the other hand, suppliers who listen, understand and suggest are seen as understanding the problem, qualified to give a solution and willing to work for the benefit of the customer. As well as being reliable in a business sense, Chinese buyers state that they want suppliers that are easy to deal with, and who engage with them on a personal level. Companies that are unwilling to take the discussion outside the workplace are often seen as unfriendly and – more significantly – hard to get to know, perhaps willfully so. The latter can be fatal to a potential business relationship, in an environment where gaining trust is fundamental. It is clear that Western companies are doing their utmost to market themselves to Chinese businesses. Over half of all companies included in our study state that they have been targeted by ‘20 or more’ Western businesses within the last year alone. 41% of companies maintain that they are targeted by Western companies at least as frequently as they are by Chinese companies. Whatever the views we arrive at in terms of the execution of Western marketing and sales campaigns in China, the determination of Western companies is beyond doubt. Chinese businesses are now being targeted on a large scale, not only as low-cost suppliers but for their burgeoning purchasing power. Means Of Communication – How Well Do Western Businesses Perform? It is true to say that the most effective way of targeting a potential customer is not necessarily the way in which that potential customer asks to be targeted. Nevertheless, it is informative to compare the approach of Western companies with the preference of the Chinese target market. If nothing else, a company that perceives a supplier to be approaching him in a suitable fashion is more likely to be well-disposed towards that supplier, particularly when it is a supplier that has not been used before. Figure 6 shows how Western selling approaches correspond to the main means of communication desired by the target Chinese audience. Figure 6 – How Well Do Western Companies Choose Their Marketing & Sales Approaches In China? When comparing the communications approach of Western companies with the preference of the target Chinese businesses, it can be seen that Westerners’ strengths and weaknesses fall into two distinct areas. On the positive side, Western companies are seen as excellent in terms of their ability to communicate through online media. The efforts made by Western companies to communicate in Chinese are recognised, and above all Westerners are seen as presenting themselves extremely professionally and clearly. A typical remark made by a Chinese businessperson in our study was “Western companies are excellent at using their websites to tell you exactly what they offer, and how it can benefit you. They get straight to the point. Chinese companies tell you about their people and what industry they are in but don’t really tell you what they do”. In written business communications, this directness and clarity is a distinct quality which many Western companies are using to their advantage. How Well Do Westerners Get Their Message Across? It has been seen that the means by which Westerners seek to communicate with potential Chinese customers leaves room for improvement. Perhaps more important is the question of the messages Western companies actually convey, and how well these correspond to what the target market wants to hear. There are a number of messages that most Western companies communicate extremely effectively, and others where the correct message is not being heard. On the positive side, Western companies are seen as synonymous with high quality and professionalism, something which is exemplified not only in the products and services being bought, but throughout every aspect of the organisation. Conversely, Western companies are seen as inflexible in a number of ways, ranging from the product or service specification through to negotiations and procurement procedures. Most Chinese buyers start from the position that the offering will be high quality when they begin to evaluate a Western company, and that usually turns out to be the case. In other words, it would appear that Western companies are doing a good job overall in terms of meeting their clients’ product and service requirements. An inability to listen is a common criticism of Western companies amongst Chinese buyers. The importance of this cannot be overstated, and this relates partly to the need to show respect to any potential customer. Most importantly, only by studying customers’ requirements and how they evolve in China, can any company hope to engage with and meet the needs of Chinese companies. 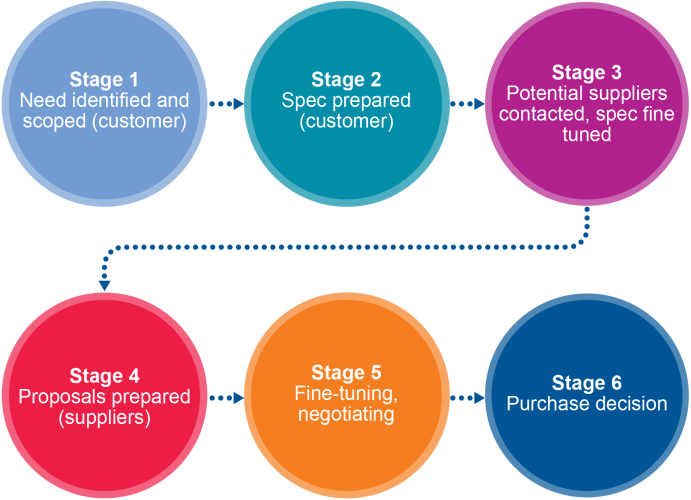 In general, the process leading up to the sale of a product or service in Western markets is clearly structured (see Figure 7 below). It begins within a department inside the ‘customer’ company, where the need for a particular product or service is identified and then broadly scoped. This typically gives rise to the construction of a briefing document or ‘spec’, in which the broad requirement is more closely defined. Thirdly, potential suppliers are searched for, and the ‘spec’ discussed with or sent to a number of them. This may lead to some fine-tuning of the spec. Proposals are then prepared, there is sometimes a little more scoping and negotiating, and then the decision is made. Within Chinese companies each stage of this process runs more or less concurrently. Typically, the initial contact with potential suppliers happens at a relatively early stage, when the definition of the customer’s need is still developing. It may not even be certain that the product or service in question is actually needed. The potential supplier therefore becomes a participant not only in the definition of how the need can be met, but also in the definition of the need itself. Briefing documents are rare, as are structured tender procedures. Indeed, there is a huge opportunity for the company that successfully assists the Chinese business in the definition of its need, in that there is a high likelihood that the same company will be asked to meet the need it has just defined. Of course, there are a number of unknowns. The Chinese buyer may well be speaking to various other potential suppliers, who will be defining the customer’s need in entirely different ways, meaning that the nature and extent of the ‘competition’ will remain something of a mystery. Equally, for more defined product requirements, supplier benchmarking is a standard practice among Chinese buyers, and foreign companies should be aware that receiving an RFQ does not necessarily mean a buyer has a genuine interest in its product offering. The role of suppliers as definers of their potential customers’ needs is one reason for the longer sales process in China and other Asian markets. 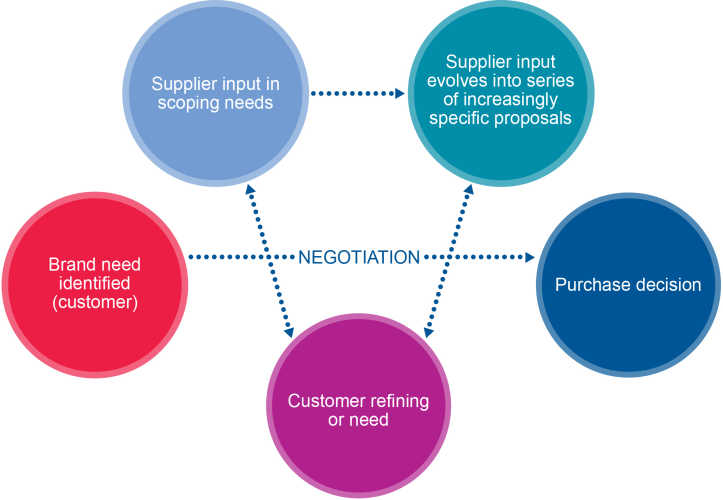 Almost by definition, the initial enquiry to the supplier is rather vague, meaning that a number of interactions between supplier and buyer will be necessary before it has even been decided what the customer requires. This in turn elevates further the importance of trust and an ability to establish a strong and trusting relationship with the potential customer. All of this means that the successful salesperson will be the person who listens to and takes account of the client’s constantly evolving requirements, rather than the person who ‘dives in’ by specifying a solution and writing a proposal as soon as an enquiry has been received. Therefore, Western companies are prone not to communicating their message in the wrong way; rather they tend to make a far more basic mistake: they refuse to listen, and therefore communicate completely the wrong message. Whilst the quality of Western companies’ marketing communications and the knowledge of their salespeople is seen as a real strength, there is a feeling amongst Chinese buyers that this can lead to a tendency to exaggerate the qualities of the company, product or service in question. This can damage trust, something which usually proves fatal to any attempt to sell to a Chinese business. Chinese businesses are now experienced at dealing with Western companies, who have been contacting them as potential suppliers or customers for a number of years. This has led Chinese companies to look out for early signs of potential problems, and many are particularly wary of new entrants from the West whose infrastructure or product offering may not yet be established in, or tailored to, the Chinese market. Chinese buyers are particularly adept at asking questions that get to the core of exactly what a supplier’s offering is, and equally good at picking up exaggeration, something which is seen as symptomatic of a new entrant desperate for a sale. Linked to Western companies’ perceived unwillingness or inability to listen is a similar ill disposition towards negotiation. This may well relate to the fact (already discussed) that definition of the customer’s needs and definition of how to meet those needs tend to happen concurrently rather than sequentially in China. This can make Western companies feel unsure of exactly what they are negotiating about, something they tend to try to resolve by insisting on more structured negotiations. Western companies are also prone to showing a sheer unwillingness (rather than inability) to negotiate, even walking away when ‘the going gets tough’, wrongly assuming that all differences are irreconcilable. This is absolutely the wrong approach in China, where negotiations are extensive and the opening price is almost never the price the customer ends up paying. 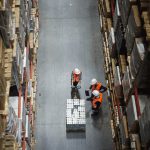 Rigid purchasing procedures are a frequent complaint, as is a tendency for companies to regard certain issues as simply ‘out of bounds’ at the negotiating table. Some Western corporations are restricted by minimum profit margin requirements imposed by their foreign headquarters, which can inhibit their ability to negotiate on price or to use loss-leaders to establish market share in the early stages of business development. Similarly, many Western companies are unwilling to tailor their offerings sufficiently to the Chinese market, whether in terms of product specification, lead-time, payment terms or other customer requirements. The Chinese approach to completing deals usually involves many rounds of negotiation, and often a large number of people from different levels within an organisation will be involved in the negotiating process. Even when tacit agreements are in place, contracts can often be redrawn several times before a final agreement is in place, which can be frustrating to foreign businesspeople unfamiliar with Chinese negotiating practices. Why Do Western companies get it wrong? Before moving on to discuss what changes foreign companies can make to improve their marketing and selling approaches, it is worth considering why Western companies often target the Chinese market in an inappropriate way. There are a number of reasons for this lack of understanding about how to market in China, most of which largely stem from a lack of experience. Some of the ‘mistakes’ made by Western companies in terms of their marketing and sales approaches and messages can be explained by the fact that their Chinese activities are relatively new. Companies are providing solutions to needs which have only just emerged, and mutual understanding between buyers and suppliers is still developing. There has been a strong tendency for Western companies to undervalue the importance of marketing in China, seeing it as something that takes place not at the beginning of the product life cycle, but once channel access and market penetration have been achieved. This is extremely surprising, given the sophistication of marketing techniques in the West, and may result from a lack of knowledge of the target market, as well as a lack of confidence that marketing techniques will be successful.. If Chinese companies tend to regard promotion as the only aspect of marketing, there is an opposing tendency for Western companies in China not to pay promotion enough attention. Many Western companies entering the market first carry out some kind of channel (place) research, as well as an examination of the likely prices the market will bear. 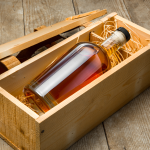 They have usually given a good level of consideration as to which products will appeal, albeit with insufficient thought to how these will need refining. Company resources have been thrown into understanding the size and nature of the market opportunity, with much less emphasis placed on how that opportunity should be communicated directly with the target market. A valid criticism made by Chinese businesses of their Western counterparts is that they sometimes appear hard-wired into thinking that everything they do is automatically superior to the local competition. Essentially, Western companies forget that marketing is about the profitable satisfaction of needs, and that if a need is different in China to the West, then the value proposition must also be different. There is often a tendency to try to ‘re-educate’ Chinese buyers, rather than simply providing a value proposition that meets the market’s existing needs. Some Western companies, many of them guided by Western market entry consultants, tend to overstate the importance of relationship-building in China, in that they see it as a substitute to marketing effort, rather than a complement. Good salespeople are sometimes left stranded alone in a small representative office, with no marketing capability to complement or assist them. It cannot be denied that there remains a significant language barrier between Chinese and Western companies, albeit one that is closing as huge numbers of Chinese businesspeople learn English and increasing numbers of Westerners learn Chinese. Once companies need to interact at an operational rather than strategic level, linguistic difference can often cause miscommunication and result in problems. Remember the marketing basics – Product, price, place and promotion are all important. All should be researched before and after market entry in order to ensure that the value proposition meets and continues to meet the target market’s needs. Patience – Patience is required when applying the marketing basics to the local market. In particular, the sales process is longer and more complex than in Western markets, and local buyers will take time to be convinced that a Western company has the ‘local’ credentials to meet their needs. Listen – Only by listening will you be able to understand and therefore meet the local market needs. Chinese companies do not want to buy a product or service that has come straight off a shelf in the West. Relationships – Focus, but do not over-focus, on relationships. Any salesperson must be prepared to be ‘friends’ with a potential supplier. However, this is as well as, not instead of, the 4 Ps of the marketing mix. Be confident in your quality – Western companies start from a strong position, in that they are usually assumed to have excellent quality. Focus on the value you add, and be prepared to explain why you can add value in China specifically. Be methodical – One of the qualities that defines Western businesses is their methodical approach to doing business. It is clear that when this turns into a dogma about how business should be done, Chinese companies quickly lose interest in your offering. However, do not be afraid to highlight the methodical nature of your offering, as this is something that is valued by Chinese businesspeople and seen to be lacking in some Chinese businesses. Be flexible – Flexibility on issues such as product, service, payment terms and price is vital for success in the China market. Foreign companies should do their best to identify and meet Chinese customers’ real needs rather than assuming these needs mirror those of customers in the West..
Be prepared for plenty of negotiation – Any potential supplier should be prepared for plenty of negotiation when selling to Chinese businesses. It is almost inconceivable that first proposals will be accepted. Keep in mind the fact that buyers may be deliberately benchmarking suppliers, and always try to reserve sufficient margin for further price reductions at a later stage. Avoid exaggeration – Focusing on the credentials you have, rather than exaggerating to make up for perceived deficiencies. Above all, Chinese companies want to trust their suppliers.